No matter how much you say about Los Angeles, whoever you’re talking to will surely have something to add. That’s just the kind of city it is. Probably no other place in the world has more creative people working in it concurrently, from music to filmmaking and architecture to fine art, 24 hours a day hundreds of new projects are being created. But is the Entertainment Capital of the World also the Interactive Capital of the World? To find out, we spoke to über agent Robin McKee-Clark at our Los Angeles metro branch. Vitamin T: What do you love most about Los Angeles? Robin: I love two things the most. First, I love that I can do just about anything on just about any day I want. If I decided to, I could do any of the follow things TODAY: surf, hike, snowboard, go to Vegas (fly or drive for less than $100), get my motorcycle license, skydive, bungee jump, shoot things, golf, jump on a cruise ship to Mexico, drive to Mexico for a shot of mezcal, rent a house in Palm Springs, go to a taping of Jimmy Kimmel, buy a church pew, ride the Twilight Zone Tower of Terror at Disney’s California Adventure, visit the Getty Museum... I could seriously keep listing things ad nauseam. Robin: It's the BEST place for interactive talent! With all the television and movie studios based here, how could it not be? Not to mention the gaming companies, fashion industry, and piles of other companies opening up to UX/UI and mobile looking for hot talent to hold their hand while boarding the bandwagon to the future. Vitamin T: What advice would you have for talent moving to LA? Robin: Leave your belongings in a pod and live here in a hotel or on a month-to-month lease (even if it's a less-than-stellar bachelor apartment) for a few months before you pick your permanent home or apartment. Apartments are rented fast here - often before they go on the market. Landlords won't even make an appointment with you for further out than 1 or 2 days to view a place, because they rent that quickly. If you give yourself time and relieve the pressure, you'll be able to do the research and find everything you want at a reasonable price. Also, be ready to laugh: you're gonna' see some real "charmers." Vitamin T: What are some of the hottest agencies in Los Angeles? Ignited - With a convenient location just off a light rail line near the beach in El Segundo, Ignited is a coveted company forr talent for a number of reasons. Their very high-profile clients include NBC, Sony, Sega and even the U.S. Army, among others. Winner of a Stevie's American Business Award, it’s an incredibly successful, independent agency. Digital Kitchen - A digital agency and production company, DK was named to iMedia’s 25 West Coast Agencies to Watch list. Saatchi & Saatchi - Headquartered in New York, one of their 140 global offices is located in the South Bay here in LA. They describe themselves as ""a full service, integrated communications network." Level Studios - Celebrating their sweet 16 birthday this year, Level Studios has several studios all over the LA area with headquarters in beautiful San Luis Obispo (also called “SLO”). Focused on digital including web, mobile and interactive, Level boasts clients such as Apple, eBay, VIZIO, Marvel, and Namco Bandai. Vitamin T: What odd factoids can you share about LA that newcomers wouldn't know? When there are clouds or—on the odd occasion, rain—SoCal natives will say things like, "It looks like we're having some weather today." Los Angeles has the largest Korean population of any city outside of Seoul, Korea. You can often see coyotes and other animals wandering the streets as there are actually large swaths of undeveloped land in and around the city. The coyotes won't bother you, but beware of the skunks! Roads are slick like ice when it first rains (usually after no rain for months) because of all the oil and soot built up on the surface. People are not being shot in LA nearly as often as your mom thinks. 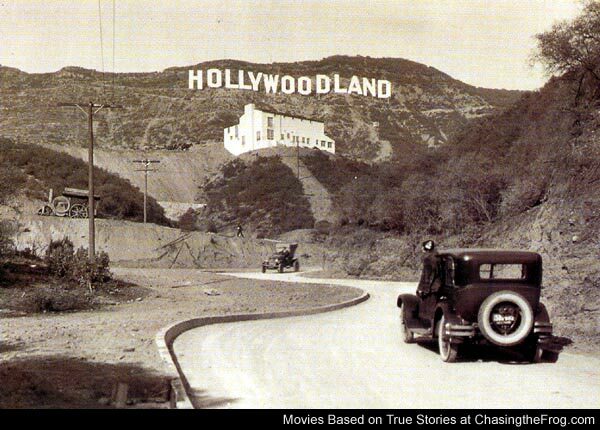 Hollywood was actually originally called "Hollywoodland" and there is one sign in the city that still says that. Ask me where it is! Looking to learn more about living and working in Los Angeles? Connect with our Los Angeles office to get the local scoop!